Another satisfied customer; had Joe do a T3 and a T4, both turned out awesome. Can you replace the standard adjustable cheek peice hardware for the KMW stuff, if so how much would it be? PM me if you need to. Had Joe do his magic on my FN SPR A1a McMillan stock. Could not be happier! Excellent craftsmanship, quick turn around and the price can't be beat! Seriously, i don't think Joe could have been any quicker and easier to work with. I think it was about a week total turn around time! It seems like he did the loggerhead install the day he received it and had it back in the mail to me the following day! I couldn't be more pleased!! I have a few loggerheads installed by KMW and i must say the Joes works is every bit as nice and professional and he got it done in a small fraction of the time it took KMW to do my others. I will be using him from now on for all my stock needs! This kinda service just isn't typical in this industry. I just finished bedding it yesterday and will be hopefully running some loads through this thing next weekend! Datguy and James, thanks for the kind words! Enjoy! Joe's done 4 stocks for me - and one more is on the way next month. I had McMillan open up the barrel channel and inlet for a Badger DBM a month or so ago. While talking with them, they said they couldn't install their cheek rest, so i figured I was SOL. 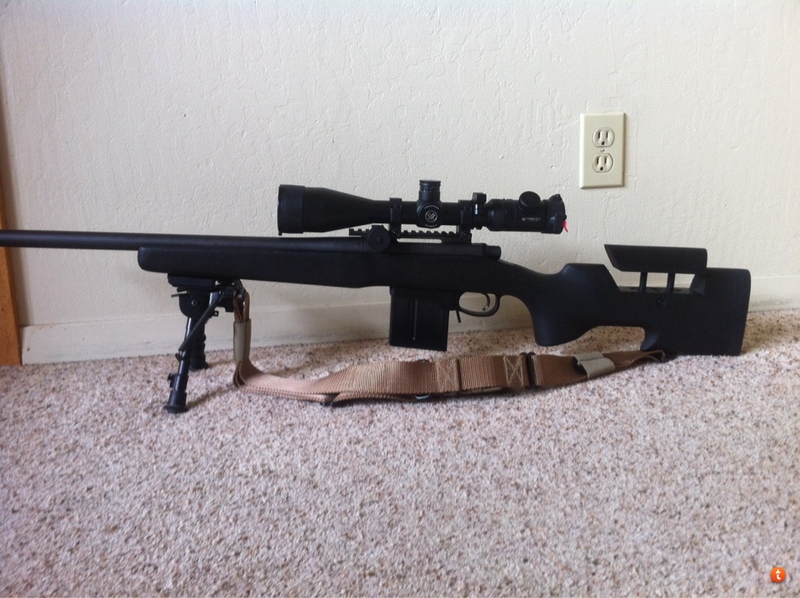 I sent all my parts for a build to Marc at Spartan Rifles after I got the stock back from McMillan. 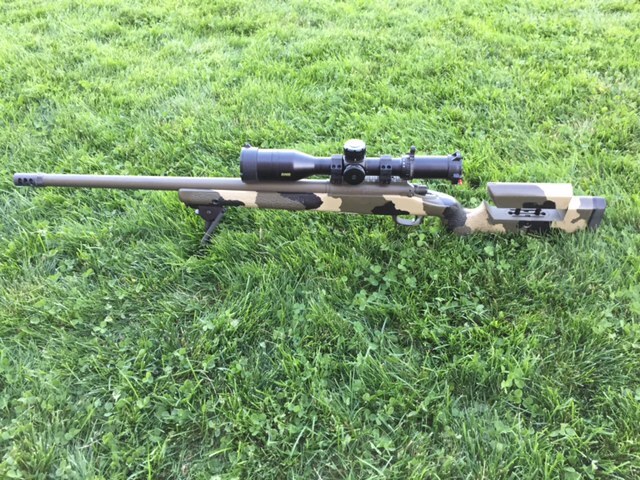 After seeing this thread, I contacted Joe to see if he could do his stock work on my McMillan. Joe and Marc are both going out of their way to help me out and get the stock back and forth between them to get the necessary work done. Both of these gentleman are top notch in my book, and I can't wait to get the finished product back from these two craftsmen. You will love the cheek piece. It's superior to McMillan's in every way. Awesome!! Please post a pic if you can. It will be a while before I see it in person. Waiting on PTG to send Marc my new bolt so he can work his magic. Just got her back a couple days ago and excellent work, sir! Everything (inletting and kmw hardware) works great! Requiem, that looks very nice assembled. Good job!! Joe, Can you do the install on an HTG adjustable that already has the crappy McMillan thumbwheel set up? 19scout- can do. But you would need a repaint if its a cammo job. Another satisfied orthopedic customer. Joe did a McMillian A-3 for me, good job and quick turnaround! Joe did an awesome job installing a KMW Loggerhead on my HS Precision that came with my Savage 10FCP. I would recommend his work to anyone. Fit and finish is great and the filing in of the stock for the unit is first rate. Thanks stockdoc!! Personally, knowing my skill, I would not attempt to do this job myself. The time and effort to get the proper tools/materials was not worth it to me. Best to send it to someone with experience and a high recommendation from other members here. 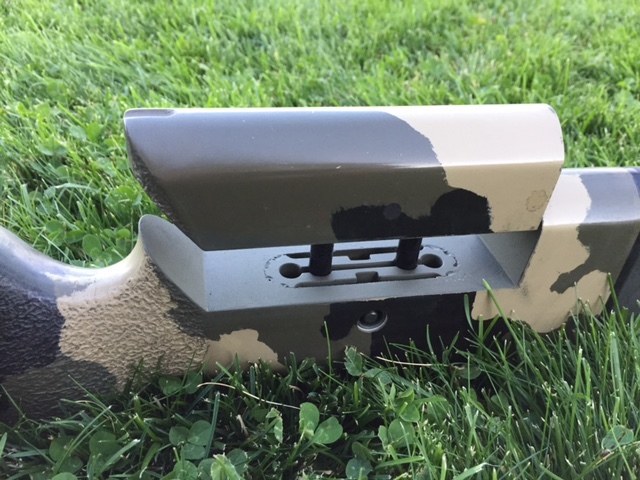 I had Joe install the loggerhead system into a Savage F_Class lamanited stock. The fit and finish was outstanding the price was more then reasonable and the turn around time was exactly as quoted. Joe was a pleasure to xq with and I will be sending him more work shortly. Does this process work well on laminated wood stocks? Do you inlet for bottom metals as well? Just got my GAP Crusader back from Joe and couldn't be happier. He did a very clean KMW install and I will definitely be using him again! Any ideas how much weight this process adds, roughly? LRI hardware might save some weight over KMW's logger hardware too. 5 oz or so give or take if you do a clean job of it and don't go overboard with materials. The LRI isn't anywhere near as light as they advertise it to be. He needs to update his web info to reflect the actual total assembly weight with the mounting hardware included. 5 oz or so for the entire weight difference between a non adjustable stock and the finished product from Joe? eta: just read through the whole thread and it seems that about 5 oz it is. Amazing. Is that still accurate today? I only ask because maybe the process or hardware has changed over the years. 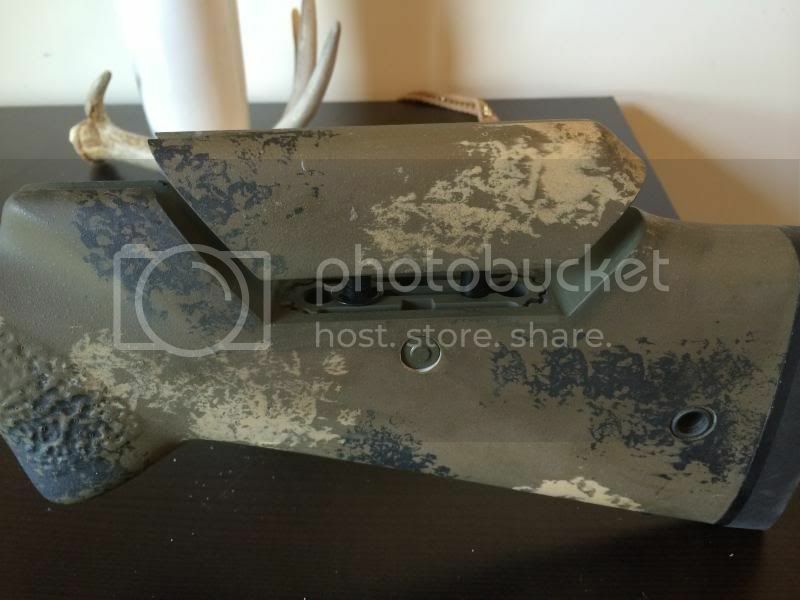 Can the KMW mod be done to the Seekins carbon fiber stock that comes with the Havek Pro Hunter PH1? Thanks. Speedjunkie Yes. Already done a few of those. Pipipka- what kind of issue are you expecting? Because I doubt that they would fix it for free if it were misuse or an accident. In which case you would need a new stock anyway. I personally have never had a "warranty" issue with any of my mcmillan stocks (over 40 in the course of 30 some odd years). I'd be wondering if it can be done on a B&C stock? I only ever see them done on a Macmillan, manners, etc. Yes it can. I’ve got two sticks front Joe. Joe completed mine earlier this year and I could not be more happy! This popped up near the top, reminds me I have another stock I need to have joe work on, this would be my 3rd. Joe, what is the conversion cost now? Aside from the LRI unit being heavier than advertised, it's almost always a wash when doing the conversion to adjustable cheek hardware. It added a full pound to the stock to install the LRI hardware. Maybe a guy could do it a little leaner but imo you might as well have it durable because a couple of ounces in the hardware is nothing vs. the weight of the structural fill to hold it all in the stock. If weight is a concern, the kydex offerings are probably going to be the best bet.